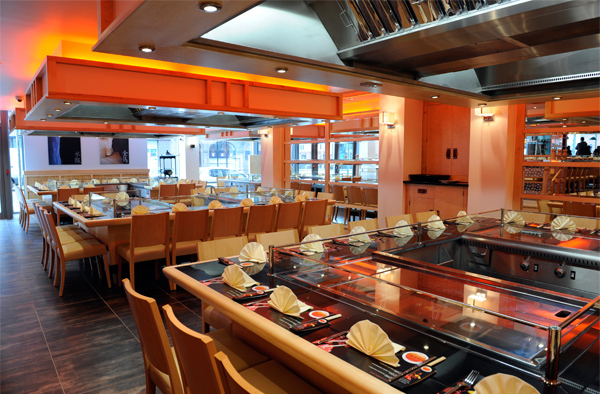 Sapporo Teppanyaki restaurant Glasgow is located on Ingram Street in Merchant City, in the centre of Glasgow. The combination of our great food, amazing performing Chefs and brilliant atmosphere, offers something for everyone. We are a Japanese restaurant that offers a wide range of fantastic food. We have something to suit everyone's taste. We have dishes containing chicken, pork, beef, duck, seafood and vegetables. Our delicious food is also incredibly healthy. 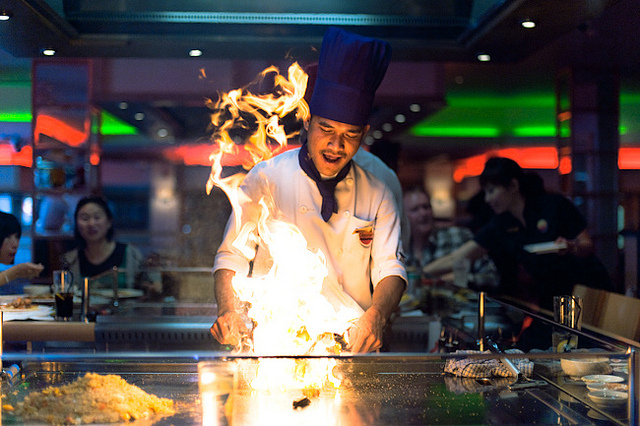 We use fresh ingredients combined with the best Teppanyaki and Sushi chefs to create the finest food in town. Our restaurant has a warm and friendly atmosphere, making it ideal for large groups, couples and families. However if you want to dine in more relaxed surroundings then you can eat in our bar area where you can enjoy Sushi and Soup Noodle dishes. 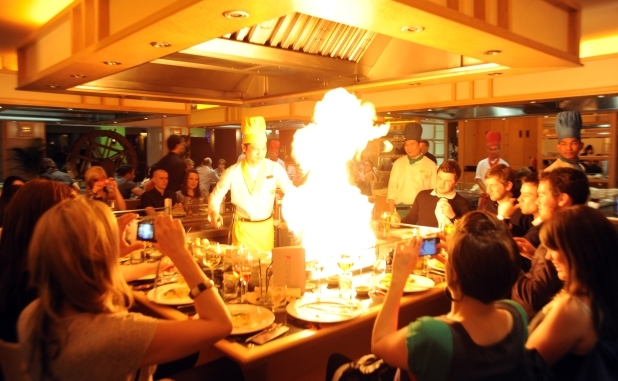 Our mouth watering food is expertly prepared by our entertaining Teppanyaki Chefs. They’ll dazzle you with their tricks! They’ll test your food catching skills, they juggle with eggs, they’ll show off their superb knife skills chopping food at the speed of light, set fire to their grills and much more! This creates a dining experience to remember. We have an extensive range of drinks to compliment your meal perfectly. If you want the full Japanese experience, then we have Sake, Japanese whiskeys and cocktails, but also western beers, wines, champagnes, spirits and soft drinks. So whatever your tipple, we’ve got you covered. I loved it!! Went to celebrate my 23rd bday with some friends. Had a great time and the food was yummy! After our previous visit my son asked to come back for his birthday dinner. Every member of staff wished him a happy birthday and made him feel very special, even singing and playing percussion instruments. The food is always lovely and looking forward to our next visit already. Really enjoyed our dining experience. Very entertaining and the food was gorgeous. Very professional of the host to remember my name & address me as such. Would have been 5 stars for service, but my daughters starter was delivered to another table and by the time it was eventually served, the other four of us had mostly finished our starters which was a bit disappointing as it was her birthday. Other than that we had a lovely evening. Great atmosphere, fantastic food and services! Great for celebrations. Absolutely fantastic! We had a large group booked many of whom cancelled last minute. Your team could not have been more understanding and a great night was had by all who attended, all of them said they would be back. Food was fantastic as always. Thanks again. Amazing experience. Everyone provides a warm welcome and ensures you are having a great time. I'm vegan and cannot fault the effort and personal service I received. 10 out of 10. Will definately be back. Chefs and service staff were very friendly and helpful. The food was delicious and great portion sizes. We ordered from the set menu and there was plenty. Would recommend. Very over priced £35 a head. Was expecting alot more. Scallops were thrown on plate no care taken. Chicken dry. Paying for style over substance. £150 for 2 adults  2 children. No interaction with kids.Won't be back. Waiter was great only good point. So much fun! Felt like I was on holiday. The waiters and chefs could not be more attentive and helpful with explanations and entertainment. Would definitely come back! Amazing food and atmosphere, our go-to place for special occasions and celebrations! 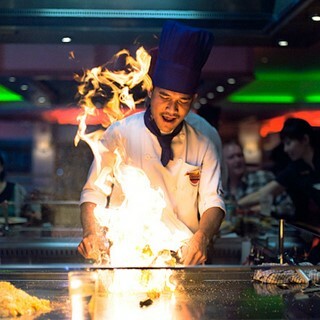 The food at Sapporo was amazing, the chef was hilarious. We were made to feel very welcome and i will defo be going back!!! This was for my fiancé’s birthday! The chefs are so talented and gave a great experience/show. Food was amazing. Would definitely come back again. I love this place and have been coming for years, but my last two visits I’ve noticed that there’s a service charge included on my bill now I think it should be my choice to pay a service charge and not what you say. Great restaurant with entertainment. Great for couples, families and groups of friends. Foods delicious and great service. Just a bit on the pricey side but well worth it. Service and food great. Staff are very friendly and helpful. Great restaurant. Foods lovely and good fun. Only thing I’d say is a little expensive and because of this I would only go on special occasions but apart from that I loved it and would definitely return but just maybe not too often as it is a bit on the expensive side.